television broadcast on October 13. Gillespie had accepted the invitation earlier. The statewide-televised debate to be held at 7 p.m. on October 13 in Richmond. Media partners for the debate are WCVE-TV (PBS) and WTVR-TV CBS 6. The debate will be held at the WCVE-TV studio. This unique debate, organized by The League of Women Voters of Virginia and AARP Virginia, will ask the candidates to go on record about issues important to all Virginians. The four panelists for the debate will include one representative each from AARP, the League of Women Voters, WCVE-TV and WTVR-TV. Richmond television stations WTVR-TV CBS 6 and WCVE-TV PBS are co-producing and distributing the debate to broadcasters statewide in order to make the forum available to voters across Virginia. Follow news about the debate on Twitter with the hashtag #PeoplesDebate. The League of Women Voters of Virginia, a nonpartisan political organization, encourages informed and active participation in government, works to increase understanding of major public policy issues and influences public policy through education and advocacy. Formed 94 years ago from the movement that secured the right to vote for women, LWV has continued working for voters. Today we concentrate on voters rights, making sure every vote is counted and registering voters, high school and college students. The centerpiece of the League’s efforts remains to expand participation and give a voice to all Americans. . . We do these at all three levels of government, engaging in both broad educational efforts as well as advocacy. Our issues are grounded in our respected history of making democracy work for all citizens. 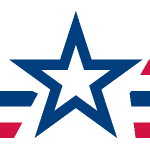 LWV operates through more than 800 state and local Leagues, in all 50 states as well in DC, Puerto Rico, the Virgin Islands and Hong Kong. LWV does not endorse candidates for public office or make contributions to either political campaigns or candidates. AARP is a nonprofit, nonpartisan organization with a membership that helps people 50+ have independence, choice and control in ways that are beneficial and affordable to them and society as a whole. AARP does not endorse candidates for public office or make contributions to either political campaigns or candidates. We produce AARP The Magazine, the definitive voice for 50+ Americans and the world’s largest-circulation magazine with nearly 35 million readers; AARP Bulletin, the go-to news source for AARP’s millions of members and Americans 50+; and our website, AARP.org. AARP Foundation is an affiliated charity that provides security, protection, and empowerment to older persons in need with support from thousands of volunteers, donors, and sponsors. We have staffed offices in all 50 states, the District of Columbia, Puerto Rico, and the U.S. Virgin Islands. Best Buy has become the second major employer within the last week to throw its telework/telecommute employee program overboard. I have several interpretations of what is happening. #1 – This is not an indictment of telework/telecommute as a form of workplace participation. It is appropriate for some forms of work and not others. #2 – Companies are getting leaner and meaner (hopefully ‘efficient’). These companies seem to believe that the ‘remotely connected workforce’ is disconnected from the reality of corporate culture (how we make money). #3 – Organizations really can do much more these days with fewer people on the payroll. When you are trying to do more with less it is hard to throw someone into the fight when they are not exactly there, physically present. ‘Hey you!’ has long been a useful policy in most industries and organizations: when something needs to get done then now is good … so who is available to get it done now? A counterargument is that these organizations (Yahoo! and Best Buy) just need to manage their workforce better. I agree. However, I run a virtual company myself and have often found it difficult to get my remote telework/telecommute folks (12 out of 18) to appreciate the business challenges that we face: their life is usually a set of well defined tasks and ‘hey you!’ doesn’t work well at all. Abandonment of the flexible workforce by two very large firms does not make a trend … but it should tell us something about where BIG business is going: doing more with less requires far more interaction than perhaps our current telework and telecommute approaches may be able to deliver when it comes to corporate teambuilding vice task teambuilding. JOBS / $$ / March 1st Sequestration Cuts … 800,000 civilian furloughs coming … this is going to hurt | USADefenseIndustryJobs.com – http://ow.ly/hTrNb … Bill Golden has a few thoughts on this topic. Late at night on New Year Day of 2013, the House voted after much last minute handwringing to accept the Senate compromise bill to avoid the Fiscal Cliff. Reality is that the cliff has not been averted, just the rough edges of it. Along the way many bargaining chips were wasted to get very little. On December 31st the national credit card hit its limit. Treasury Secretary Geithner says that he can move some things around to pay the bills through sometime in February. Our new Fiscal Cliff Avoidance Bill of January 1st 2013 now adds almost $400 billion per year in new national debt per the CBO’s analysis. There is little to rejoice about in the Senate bill, now approved by the House, because it is fiscally irresponsible. It will cause much of the good that it has supposedly created to collapse in upon itself … not within years but within months. The GOP itself has major issues and #1 among them is that its has allowed itself to be held hostage by the Tea Party mentality of talk a tough game without having any specifics. It has also allowed ideologues like Grover Norquist and the disciples of Arthur Laffer to warp the ability of the GOP to think in terms negotiating for the greater good of the country rather than the GOP just following unproven maxims that always seem to increase the debt rather than resolve it. Back in the good ol’days of RINOs ruling the GOP, our national debt was relatively low and social policy moved forward in some sense of balance because people went to the negotiating table with the intent of getting a balanced deal of trading off benefits and finding bill payers, and cutting debt where possible — and we often did cut a lot of debt. Back during the good ol’days of the 1950s/60s/70s/80s Dems and Reps were able to work together on many things that kept debt low or paid down the debt while accommodating social concerns. However, what the GOP has going for it now is that it owns the House vote at the precise moment that President Obama will need agreement on a host of issues for which he does not have many bargaining chips to put on the table. We will see the stock market’s view of this deal play out over the next week. Whether you love or hate Wall Street, the stock market is considered a fairly reliable indicator of which way the economy is going. $400 billion of new debt per year has just got to scare investors worried that the nation’s #1 purchaser of services, goods and materials may not be able to pay its bills either on time or in some cases be able to pay them at all — forcing renegotiation. We also have the FY2013 federal budget to complete. Our new federal year started in October and we still have no approved federal budgets. Those too must now be negotiated with many in the new Congress of a mind to to pare back spending to offset this Fiscal Cliff deal. In our aversion to negotiating in good faith (both parties) we have avoided the Fiscal Cliff from arriving on January 1st, 2013. But in doing so we have merely bought breathing space of just 1-3 months before we must return to the negotiating table for what are perhaps even larger stakes.